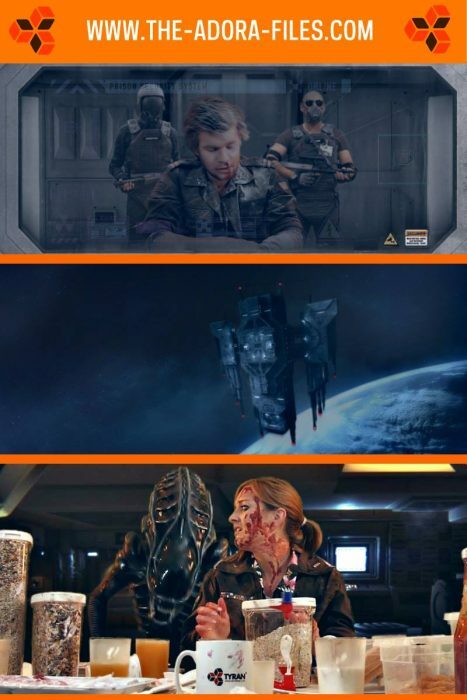 Late 2014 we were made aware of an upcoming Alien fanfilm project by Felix Berner called Alien: The Adora Files. Over the last 5 months Felix has been working on the project and is due to release it towards the end of March/April. The film is being done in a similar vein to Alex Popov’s AvP Redemption where the live action elements are filmed in front of a green screen that will be replaced with photorealistic CGI. The actors and the Alien itself will be physical elements. The film will be around 10 minutes long and also stars some members of the Aliens community as background extras. Working Joes will also make an appearance! If you head on over to the official Alien: The Adora Files Facebook page you can check out some of the earlier test footage and various photos from the project. You can see that Felix has been putting in a lot of effort for the physical elements and his attention to detail for the props is impressive. I’ve enjoyed checking out all the progress Felix has made with Alien: The Adora Files. Be sure to give them a Like to keep tabs on the project. We’ll be posting up news when the film is released.